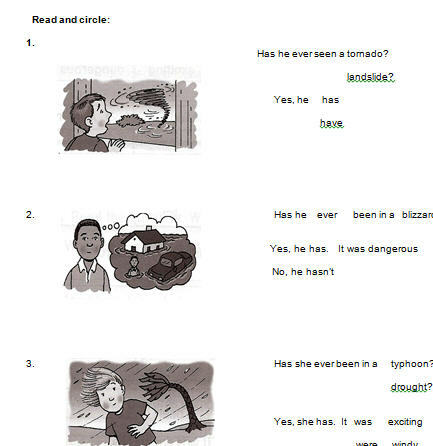 This activity will help your students practice the present perfect and vocabulary related to natural disasters. This worsheet contains exercises where your students will choose the best answer, do several other activities and unscramble. This can be used as a review or in a test.